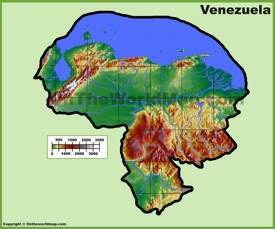 Venezuela is officially named the Bolivarian Republic of Venezuela and located in South America (northern coast). 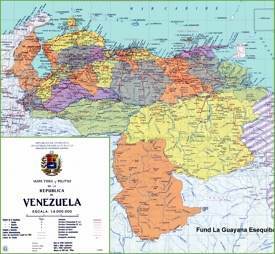 It is a federal presidential republic that consists of 23 states. 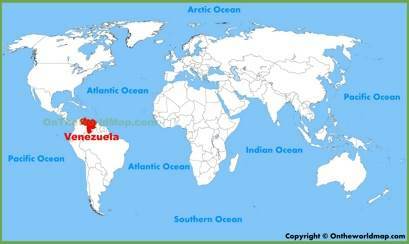 The neighbors are Brazil in the south, Colombia in the west, the Islands of Trinidad and Tobago in the north-west, and Guyana in the east. 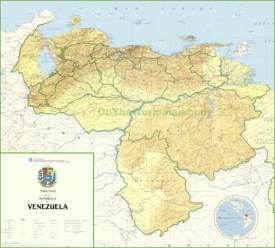 The capital and largest city is Caracas. The official language is Spanish. 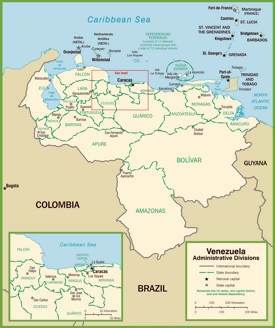 It used to be one of the first American-Spanish colonies. 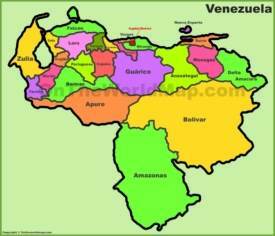 Venezuela has a poor economy and has problems with inflation, high criminality and market shortages. 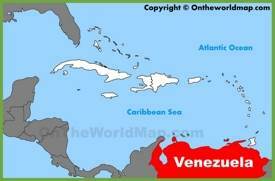 Although the country has oil and it is one of the leading exporters in oil. 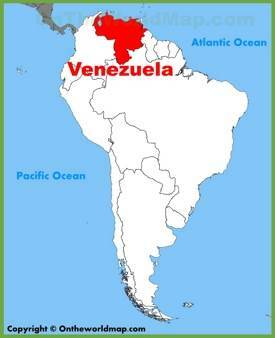 Area: 353,841 sq mi (916,445 sq km). 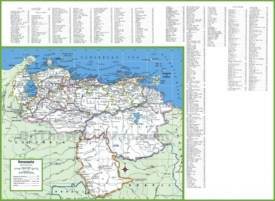 Largest cities: Caracas, Maracaibo, Valencia, Barquisimeto, Maracay, Ciudad Guayana.